YoYoFactory - Light Up Spin Top! The YoYoFactory Elec-Trick is a really fun new spin top with the perfect build for players of any skill level. 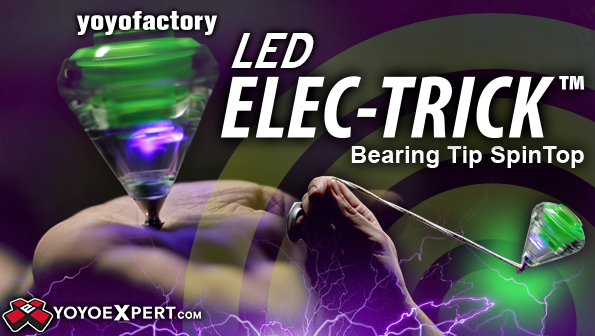 The Elec-Trick is a great choice if you're interested in spin tops. This bearing tipped top offers professional level performance at an entry level price!